So do you hear the voices of Satan or Jesus? I pray that you will love it. Have you ever wondered what it would be like to be adopted, especially if your life was not so great and you were different from the rest of your family? That is me! As a child, I would ask my mom was she my mother and she would say, “Yes I gave birth to you”. I would tell her she gave birth to a child but not me! I would repeatedly ask this question as a child and even as an adult, even up to about 4 to 6 months before she died. Mom said I was her child, but the reason I would ask this question was because she knew I was God’s child and I knew it too. She knew I longed to be with him. Yes I am a Child of God, his daughter thru Jesus Christ. But I don’t feel as mom is really my mother and my dad is really my father. I have always been the one always sick to the point of death. No one else in my family was like that. When I was in school I used to look on the milk cartons to see if my picture was there. I was looking to see if someone was missing me! I have this dream where I have been summoned to court to see if this man is my father and see if my and his DNA matches. It plays out like this…..
Court calls TabbyI come and put my right hand on the Bible and swear to tell the truth. I sit in the witness box and as I look out in the courtroom, I try to see if there is anyone who could be my father, my real one. I see a man at a table, not sure who he is, but I have seen him before. I am asked to pronounce my name & spell it out and then I am asked to tell where I was born and to give my date of birth. I do so. I am asked, “Do you see this man at the table?” I say, “Yes I have seen him many times in my life, but am not sure who he is and I don’t know his name either”. I know he is a nice man with a loving heart. I am asked to state each time when I have seen him. The first time was when I was two years old, we would color and sing, and he would read the Bible to me. When I was four years old he came and sat by my bed and held my hand when I had my first Open Heart surgery. He also brought three others with him; they were at the foot of my bed. The doctor in the room said, “She will not live and her heart operation will be a waste, you should have given to someone else who would live”. The man beside my bed said, “I gave before and this hospital gave it to a child that you said would live, but the child died and is in heaven. This child Tabby will live because Almighty God has a plan for her that only she can do. She will live and do all the things you doctors say she cannot do. She will walk, talk, sing and have a mind that will function so she can preach and teach”. My mother came in the room after some time that he was there. She grabbed his neck from the back and pulled his head, as though she was trying to pull it off. She looked to one of the people at the foot of my bed screaming in a deep voice, “You cannot have her. She is mine, not yours”. The hospital security and the others that were in my room had to get mom off of this man and she left. The three others left behind her. I saw this man again when I was 7 or 8 years old in the hospital to have hernia surgery. I walked into the play room, where this man was sitting at a table. On the table was a Bible, paint and paper. I walked over to him, I gave him a hug and kiss and he did the same. He read the Bible to me and I sat and listened. I loved when he read to me, it was so comforting, like a warm blanket out of a dryer. I would tell him I want to have color like my family so people won’t be mean to me. I told him one day I got to go home with one of the girls at school. They had a beautiful place. I had fun. When it was time to bring me home, her mother took me home. She saw my mom and little sister and they were darker than me. I went to school the next day and the kids would not play or talk with me. The teachers were rude and would not talk to me either unless it dealt with school work. Only the lunch room ladies and physical education teacher would talk to me, they were people of color. The man said I was made the way God wanted me to be. He said the reason I could see my veins was because I could see his blood flowing in me. He said I know you don’t understand now, but one day you will. So we painted and one of the paintings was of hands. He painted his hand in blue paint, for blue is for male, and placed them on the paper. I painted my hands in pink, for pink is for girls like me, and placed my hands over his. One thing I noticed was he had big strong hands that the whole world could be carried in. He said he would frame it in Gold and keep it in his favorite room he loves so much. When I was in the 7th grade, I had to have tubes put in my ears for the 12th time. While in the hospital I remember going into the play room and seeing this man in the room with the Bible, paint and a rock. I ran to him and hugged him because I so excited to see him. He hugged me so tight and kissed me on my forehead. He told me to play some songs on the jukebox for us to listen to. I picked Michael Jackson songs for he was the, “Elvis Presley”, of my time. The songs played in the back ground and I sang along. I loved to sing. He read the Bible to me and I sat and listened. I loved when he read to me, but this time I also read the Bible too, that’s because I could read. He was so proud of me. I would see him a lot of times like this, but mom would never be around, because mom would go after him. I remember him calling my name and we would go to a library with all these books in this room. The room just went on and on with shelves of books. We always read the Bible first. He would help me write and help me with school work. He knew how to explain everything to me so I could learn. We did this everyday while I was in school. I thank him so much. I graduated a year early with honors. Just think, the doctors said I would never read or write. Who knew? Only God knew! He was there when times were hard. I could call on him and he would come like an eagle flying out of a tree and swoop down and get me. I was in a car accident in my early twenties. He came to the hospital. The doctors said I would not walk, because my back was broken in two places and my left leg needed to be taken off. This man came and said, “Tabby will walk and her leg is not to be taken off. Tabby has things on this earth she has to do and needs to walk”. This man was there when I had my son. He was so proud, like a father for the first time proud. We prayed and I gave my son Adam to God so God could take care of him and help me when I fall short of being a parent. When I had my second open heart surgery my family said they would give me blood as they did before. When I told this to the hospital, the hospital said theirs did not match and we will use the one that has always been used on me. This was a good thing because I could not handle any more issues. This man has been there for all the surgeries I have ever had. I would wake up and he would be their holding my hand. Matter of fact, he has been around me all my life, day in and day out. But I don’t know his name. I said, “Yes and no”. I think to myself, what if my real family is more messed up than the one I have known all my life? The judge said, “Tabby, God has used you in a big way and he is about to use you in a much bigger way so more people will worship Him. So get your Passport ready, for the time has come”. Amen to that! The judge opens the envelope and it says I am This Man’s child. He is 100% my Father. The man is crying, he walks over to me while I’m still at the witness stand and says, “Tabby I’m Almighty God. I have been the one you call this man, the one who has been with you all your life. I was sometimes sitting beside you, sometimes you were in my lap and other times I carried you. I formed you and I can tell you how many hairs are on your head at a given time in your life. Matter of fact I knew you before you came into this world. Tabby I made you in my image. You look like Me! I also want to tell you the three people you have seen with me are Jesus, the Holy Spirit and my archangel Michael. We have been protecting you since you were in the womb of the woman you call mom”. I start to sob uncontrollable. I stand up and God grabs me and hugs me and won’t let go. I am hugging him too. I said, “Now I understand what you meant by the blood, for it is my big brother Jesus’s blood that flows in me. I also understand what you meant when you said You are my Rock!” God smiles at me and said, “Yes”. I asked why I didn’t know it was you all the time. Father said, “Sometimes you did know and other times you did not is because Satan was lying to you”. I asked Father God why he came to court. Father God said, “I had to prove to you who you are, that you are my child, my flesh and blood, so Satan can’t lie to you”. The judge tells Father God to sign my correct birth certificate. Father God signs! We leave the courtroom holding hands. I am adopted by God!! You can be adopted by God and be a Child of the King Too!!! I Came into this World Dead! While I was still in my mother womb doctors was trying to deliver me but I was in a breached position. The doctor was trying to turn me around. When they did, my bowels came out and got into my lungs. Also as they were turning me the umbilical cord got wrap around my neck and hung me. The doctor told my mom I was dead and she had not deliver me yet! They finally deliver me and again confirmed I was dead! My mother screamed help her, save her. The doctor said no because if he did I would have no quality of life. Mom still screamed help her. A nurse that had just took specialized training in this kind of delivery was there. God placed this nurse in that room to help save me. The doctor said no but the nurse heard my mom. I want to also believe she heard God too. That nurse took care of me while I was in hospital for a month. She would be my first mom (as my mom & me will say) who happen to be a black woman! My mom said this nurse loved on me as if I was her own. The nurse and my mom did not believe what the doctor had to say about me, that I would be blind, deaf, never walk or talk! I came into this world a month early, dead and no hope for living! But God in His Grace has allowed me to live. Since then I have had 28 surgeries to correct birth defects or to just live! God has been with me the whole time in this walk. I share that walk and my faith with God and Jesus. Every trial has made me stronger in my faith with God & Jesus. Forgiveness and Love that he has done in my life. 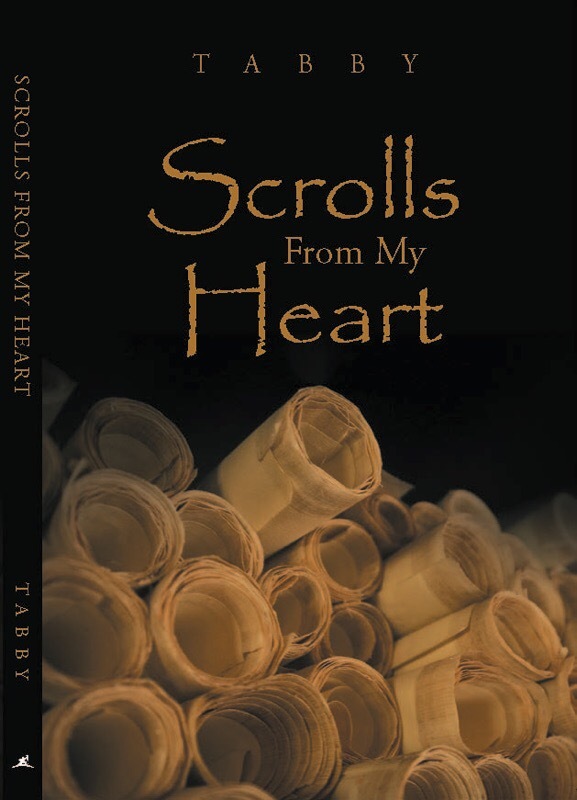 I pray that you will get my book and share it with others for God’s Glory.